Being a wide-eyed freshman. Building the nerve to ask your crush to homecoming. Crafting/pulling off the perfect senior prank. It may not be the part that makes coming-of-age movies, but taking the ACT is a vital part of the high school experience for any student looking to continue toward higher education. And it doesn’t matter if you’re in marching band, the captain of the football team or the rough-around-the-edges senior that holds down Saturday detention at the library. Getting the score you need on the on the ACT is a critically important first step on the path to college. The importance of that score is something prominently on the mind of Quincey, a junior from North Platte, NE who is closing in on finalizing her college choice. And it’s why she decided to take the test multiple times to give herself the best chance at hitting the score she was aiming for. Those nerves showed up in her score the first time, and then again. But once she had a better grasp of what the test was like, and what areas she needed to work on, Quincey took a step forward with her most recent score. A step toward the type of college career she is looking for. Preparation before the test is also key, at least according to school psychologist Courtney Meiers. Through her work, both as a high school English teacher and tutoring students, Meiers has always stressed the importance of preparing for the score you need. According to Meiers, the first step in getting a college to look at the rest of your resume. Want to explore all of your options to get the ACT score you are looking for? We’ve got resources to help you set goals, and HIT them. Beyond getting into a school, Meiers also said ACT scores are crucial for scholarship considerations, and can set students up for a successful career. Even for athletes. In Meiers’ mind, it’s important for all students to think practically about the impact of a college education. 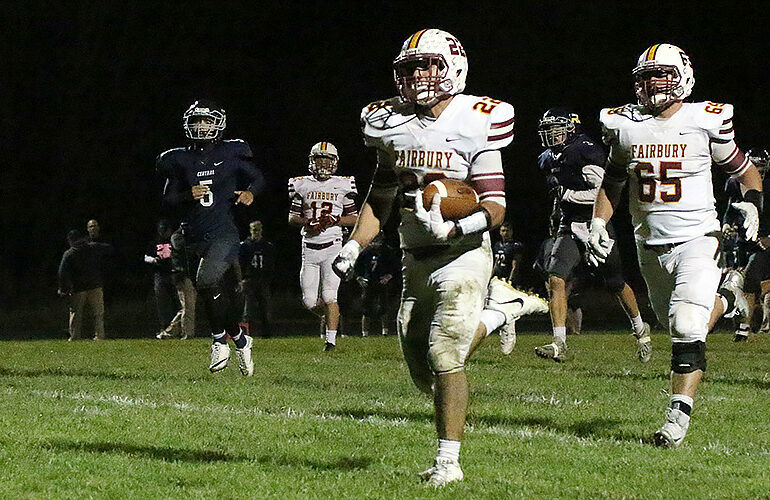 That commitment to education is not lost on Jacob, a senior from Fairbury, Nebraska, who recently signed to play college football at Wayne State University. Even with that knowledge that he could pursue a scholarship for his on-field ability, Jacob said the academic side was drilled into him from a young age. Jacob’s counselor also highlighted the importance of academics, and he was able to take the ACT for free as a junior through his school. To prepare, Jacob switched from the weights to practice tests, and did his best when he relaxed and trusted in his knowledge. “My tips would be just relax while taking it, and take it more than once,” he said. So it doesn’t matter what you’re college intentions are. You could be sizing up schools for academic programs and potential. You could be searching for scholarships. You can even be a football star trying to take care of the school side of things. The ACT is your first step in determining which path your college career will travel.